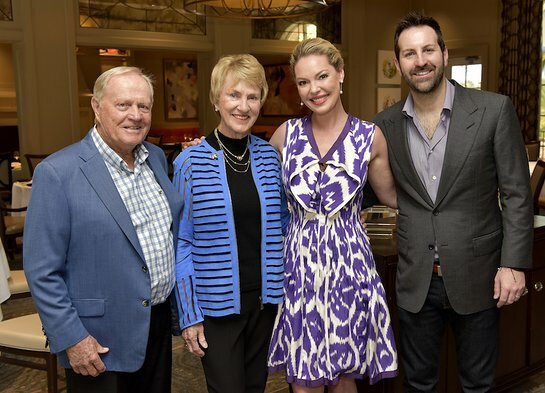 On Friday, January 18, actress Katherine Heigl and her husband, musician Josh Kelley, joined Jack and Barbara Nicklaus in Palm Beach Gardens to champion pediatric health care. The annual Golden Heart Luncheon raised a record $521,000 to support the mission of the Nicklaus Children’s Health Care Foundation. Nicklaus Children’s Hospital is the Foundation’s main beneficiary. The luncheon celebrated the progress being made by supporting innovative programs focused on the diagnosis, treatment, and prevention of childhood illnesses. Nicklaus Children’s Hospital has helped children from every state in the U.S. and from 119 countries.